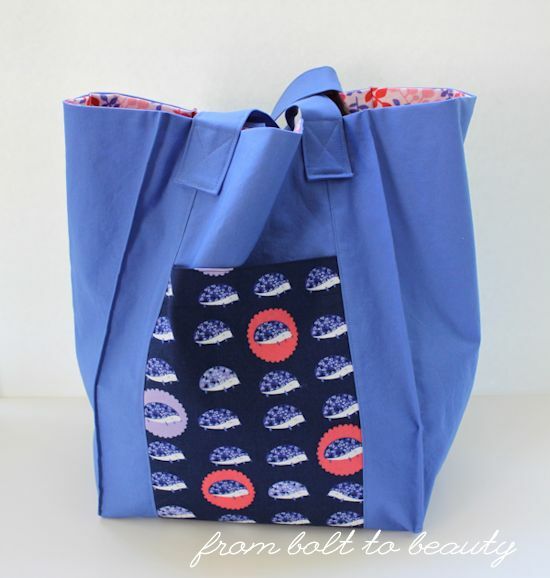 I have made a lot of Jane Market Bags in the past. Like, a lot. 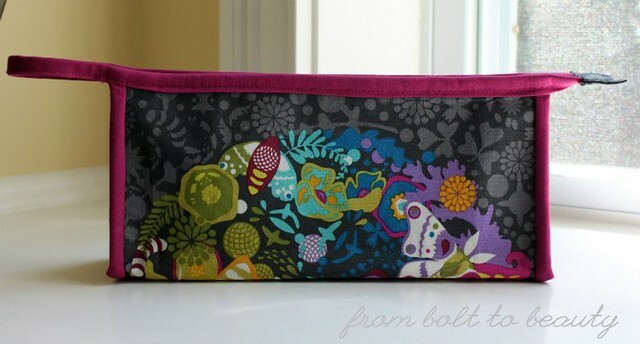 There has not been a lot of sewing around From Bolt to Beauty world headquarters since my last post. In part, this is a result of my guild’s upcoming Cape Cod retreat. I missed our spring retreat, so I’m super excited to go and have been prepping projects to work on there. I don’t find retreats conducive to being creative or to making important design decisions. 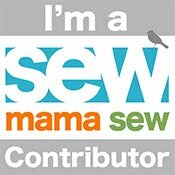 To me, they’re temporary sweatshops, and I use the time to try to get through as much sewing as I can. I like to choreograph my weekend away by planning some smaller finishes and taking a bigger WIP or two. This Jane Market Bag was part of a swap gift. UPDATE: The giveaway is closed. Carolanne is the winner! In the meantime, I’m happy to announce my third Beauties Pageant and giveaway! This week, Bernie, of Needle and Foot Fine Fabrics, has given me a $25 gift certificate to give away. You have two opportunities to enter to win this gift certificate: (1) Upload your link to the Beauties Pageant (just one link, please!) and/or (2) leave a comment on this post about whatever you’d like (just one comment, please!). Also: If you read my posts through Bloglovin’, click through to my original post to comment. This giveaway is open internationally through 6 p.m. Eastern Standard Time on Thursday, October 5. The winner will be notified via email, so if you’re a no-reply blogger or comment anonymously, please include your email address in your comment or send it to me at frombolttobeauty (at) gmail (dot) com. 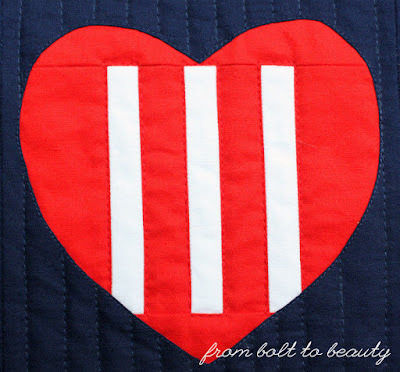 Quilting friends, it’s Friday again, another opportunity to celebrate our fabric-y finishes. I revealed my finish for the week yesterday. It’s called Blaze and features a collection of wonky stars on a background of low-volume loveliness. 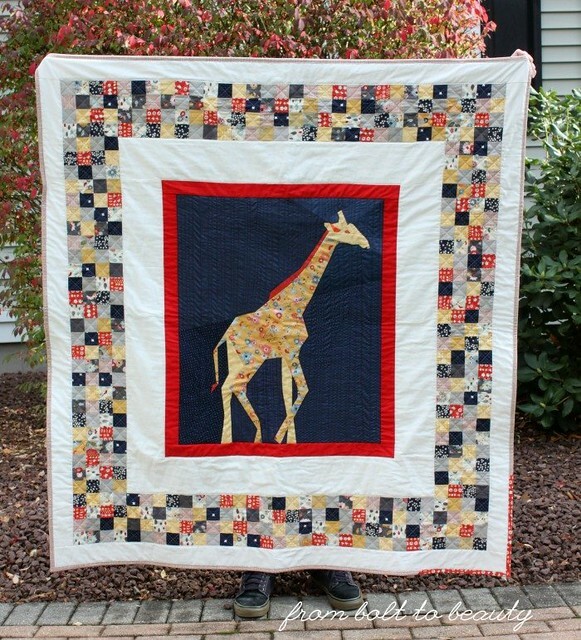 It’s also my entry into this fall’s Blogger’s Quilt Festival. When I haven’t been working on Blaze, I’ve been experimenting with a new-to-me technique: reverse applique. Have you tried it? I’ve been consulting the tutorials Campbell Soup Diary has posted on the subject and been referring to the materials from the Penny Sampler class I took with Stitched in Color years ago. 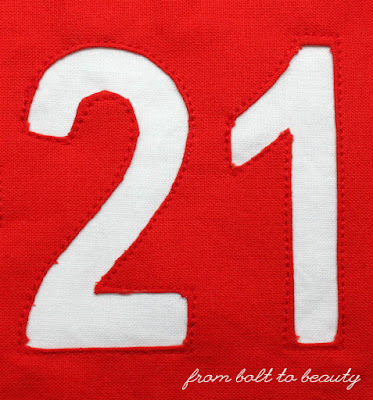 But I am also reverse-appliquing 2.5-inch numbers and letters. I used freezer paper and a glue stick to manipulate my first attempt. I think I can make the characters neater, though. A second try will involve featherweight interfacing, starch, and my mini Clover iron. Wish me luck! UPDATE: The giveaway is closed. Janice is the winner! This Friday is the second Brag About Your Beauties Pageant here at From Bolt to Beauty. 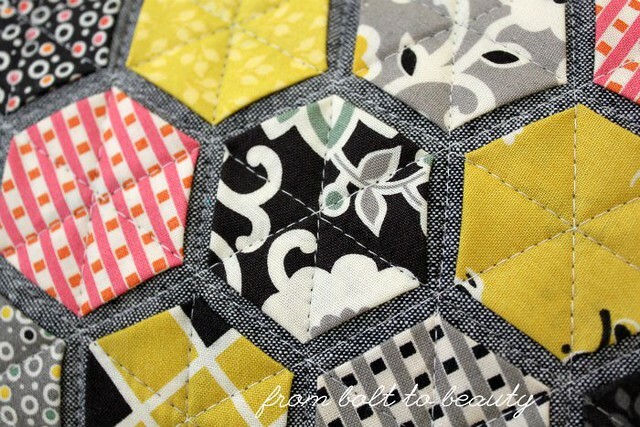 To thank all of you for participating, I am giving away a $25 gift certificate to Stash Fabrics! This giveaway is open internationally through 6 p.m. Eastern Standard Time on Thursday, September 27. The winner will be notified via email, so if you’re a no-reply blogger or comment anonymously, please include your email address in your comment or send it to me at frombolttobeauty (at) gmail (dot) com. 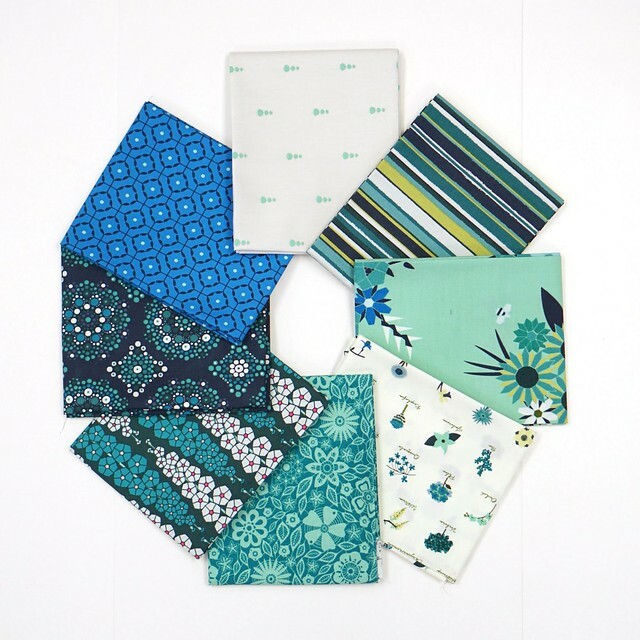 By the way, the winner of last week’s fabric bundle is Alice, aka alidiza. Congratulations, Alice! OK, so what have you been working on? 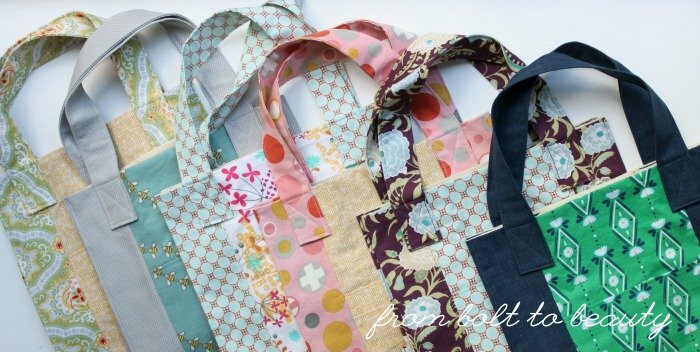 Share your finish—whether it’s a quilt top, quilted project, or something else created at your sewing machine. Point your readers back here with a text link or use the button at the top of the post. To readers old and new, hello and welcome! 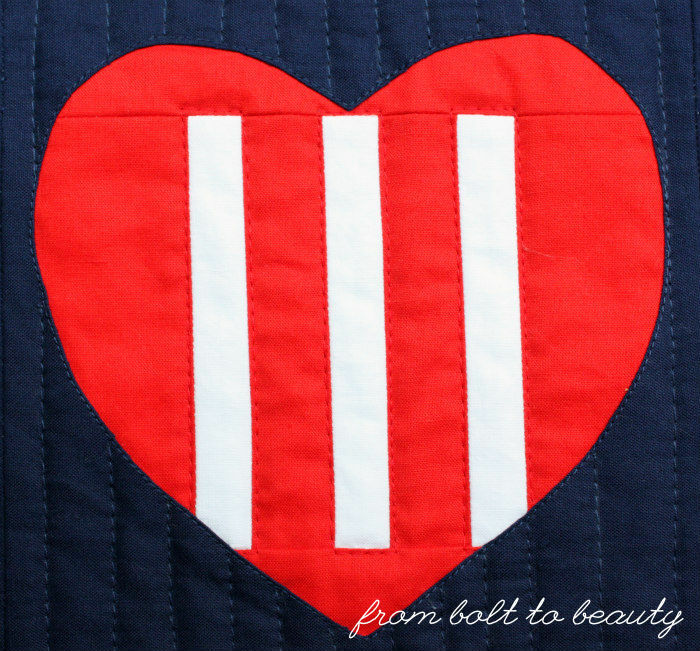 I’m Michelle, the quilter behind From Bolt to Beauty, and I’d love to introduce you to my entry to the Blogger’s Quilt Festival: Blaze. This quilt was a long time coming. In fact, I first blogged about it nearly two years ago. 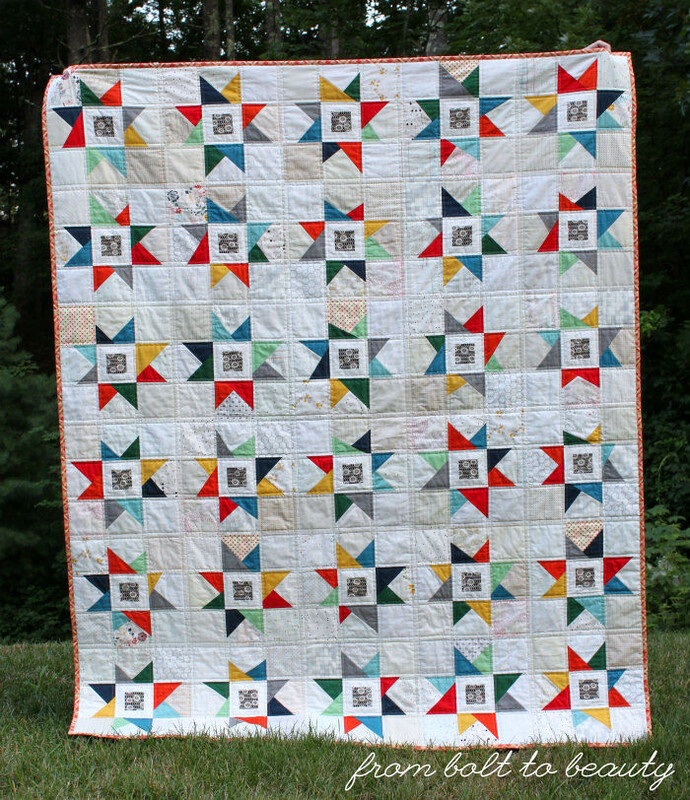 It wasn’t sewing the quilt that was difficult, though; it was collecting low-volume fabrics for the background that took years. But it was a fun process. Some of the fabrics came from low-volume charm swaps I helped organize. Others came from a fat-quarter swap we did in my guild. I found the remaining fabrics in quilt shops here and there across New England. hang of it, but I think they look great. I based my palette for the stars on the Maureen Cracknell floral in the middle. in the background. I love it (and I am keeping it)! Thanks for stopping by! 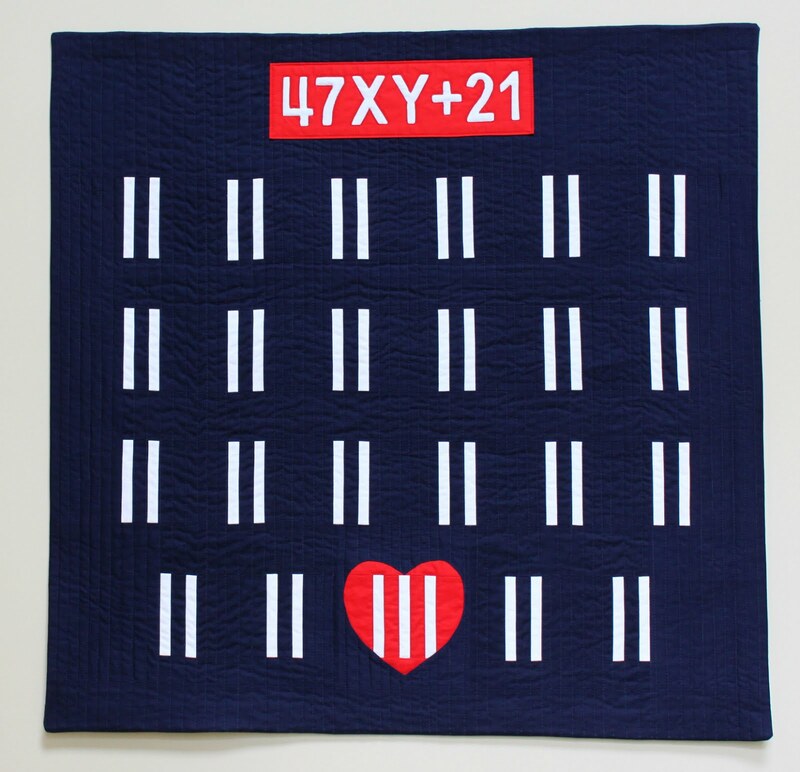 Be sure to check out other quilts in the fall 2018 Blogger’s Quilt Festival! 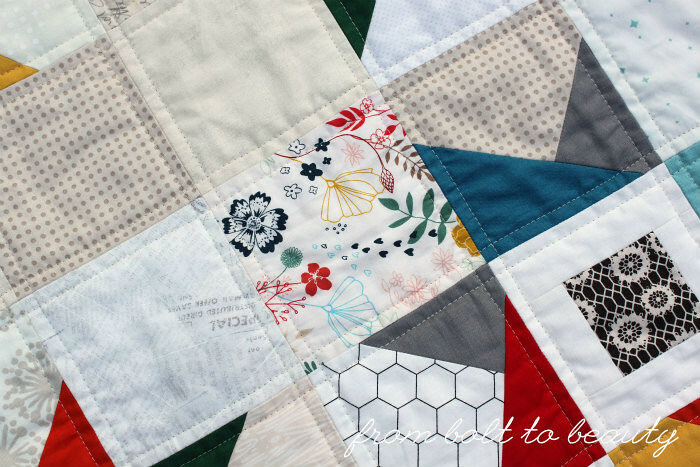 I’ve been blogging about quilting for over four years. 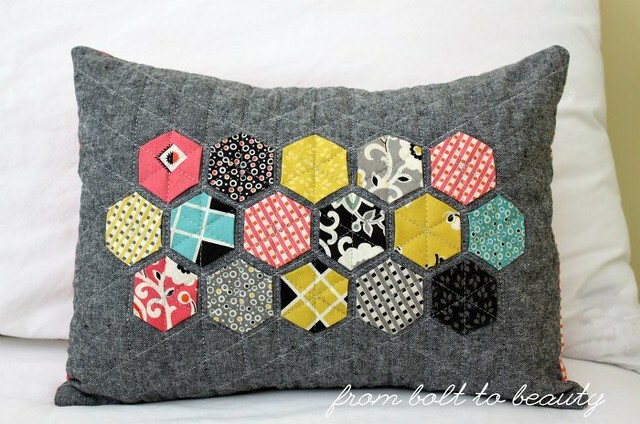 In that time, I’ve shared dozens of quilts, bags, and pillows (plus the odd Rubik’s Cube Christmas ornament). I have to admit it: I’m losing steam. 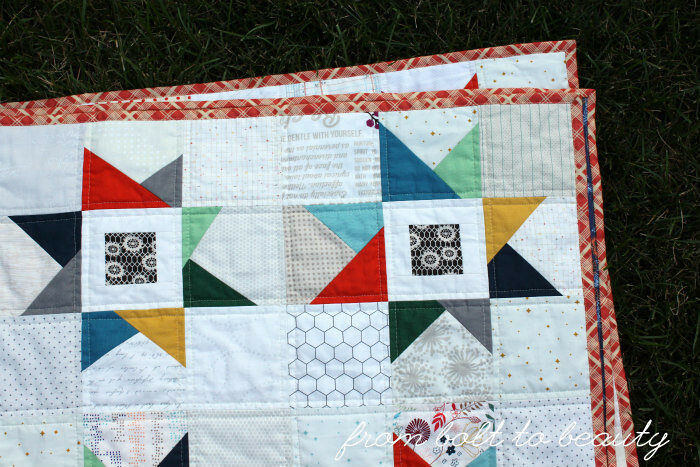 Although I love sewing and quilting and writing, photographing my projects is a drag. 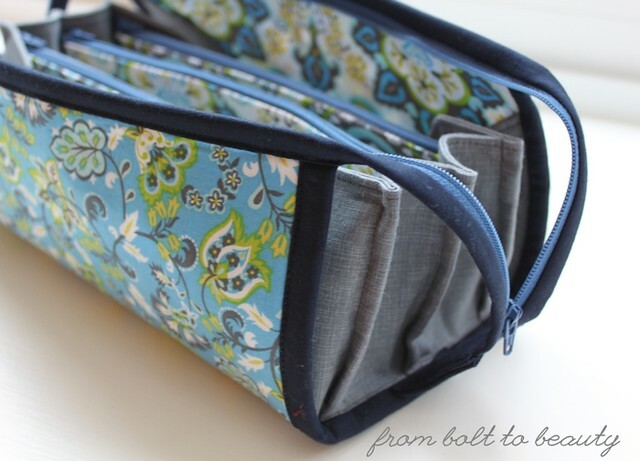 And every minute I spend composing at the keyboard or fiddling with my husband’s fancy-pants camera is one fewer minute I have at my sewing machine. But here’s the thing: I believe in words! 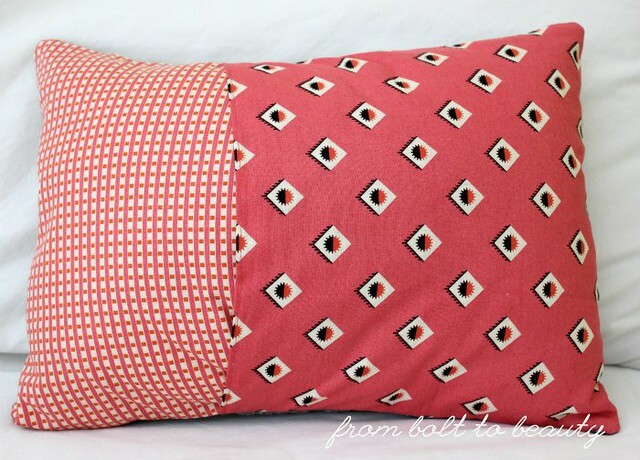 Sure, I use Instagram—it’s an especially good platform for sharing sewing projects—but it’s not the same as reading a well-composed blog post. So I’m still chugging away at From Bolt to Beauty, even if I’m not posting as frequently as I did when I first started blogging. 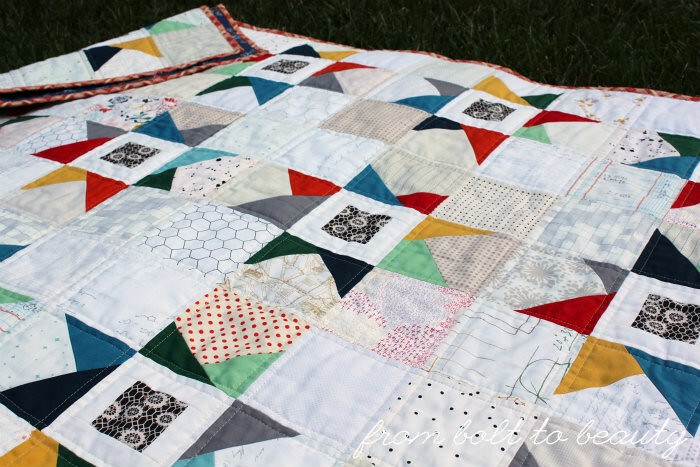 If you’re a regular quilt-blog reader, you’ve probably heard that Amanda Jean, of Crazy Mom Quilts, has decided to rein in her weekly Finish It Up Friday linky. And with good reason! She’s been at it for years. For the foreseeable future, she’ll be posting her linky once a month, on the first Friday of the month. 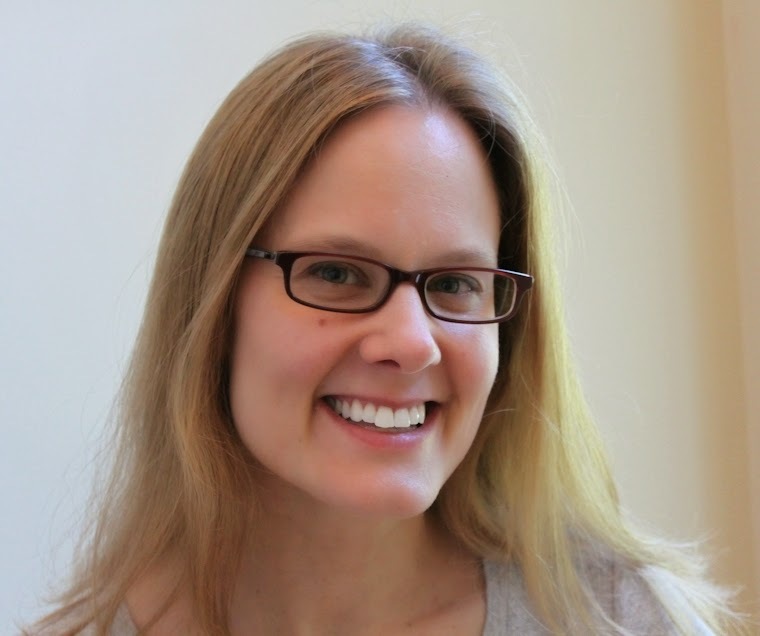 She has announced that Friday, November 7 will be her last linky post. I understand her decision. I get a lot of traffic through Finish It Up Friday, though, and knowing that people are reading my posts and commenting on them helps me forge ahead. 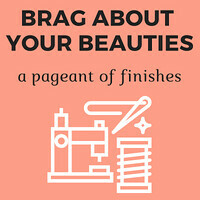 So I’m going to start a new linky—called the Brag About Your Beauties Pageant—to run every Friday. except the first Friday of the month. To stir up some excitement for the new linky, I’ll be posting a giveaway, open internationally, each of the next three Fridays: September 14 (tomorrow! ), September 21, and September 28. So if you’re with me and still love words and blogs and reading complete sentences, stop by tomorrow to enter that first giveaway. 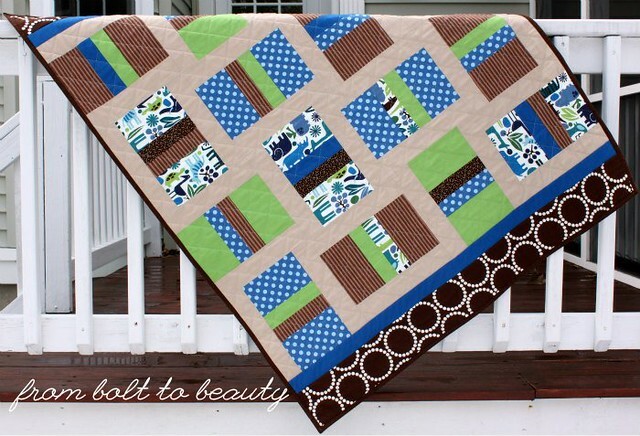 And if you’re a quilt blogger, stop by tomorrow to enter the giveaway and post your link. Now, let’s hear it for blogging. Yahoo! Following the instructions, I interfaced the exterior and lining with Pellon’s Decor Bond. It works well, giving the pouch needed substance and structure. 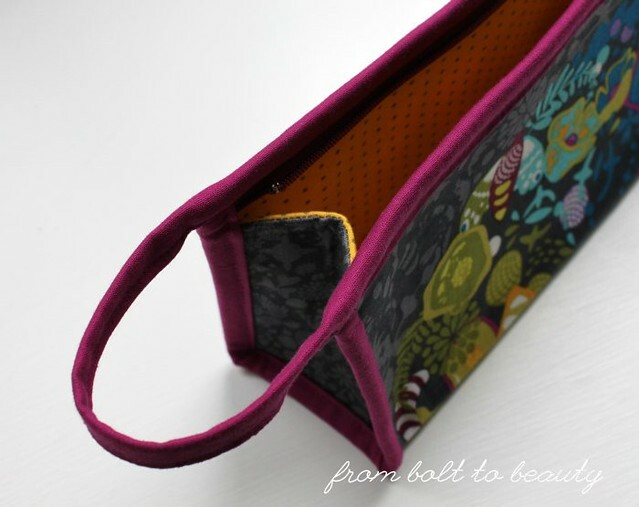 I lined the bag with an old Zen Chic fabric and bound it in Kona Cerise. My biggest concern when I sat down at my machine was binding this project. I machine-bind all of my quilts, but little items are a different matter. Could I machine-bind and make both both the broad side and the end of the pouch look good? I could and I did! The secret was simple: glue-baste everything into place before finishing off the binding. 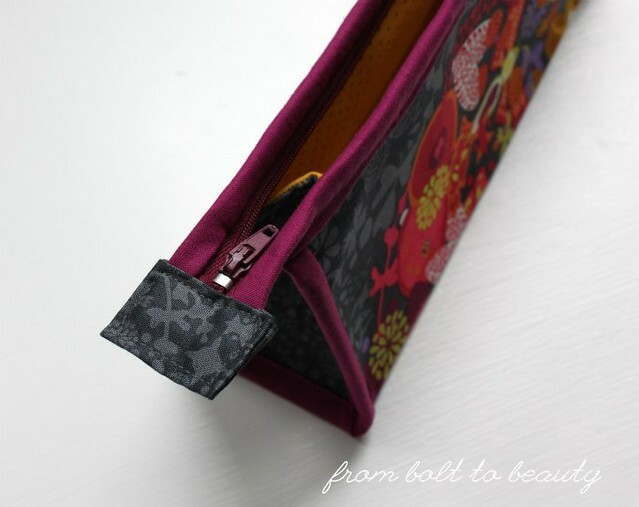 Look at that neatly sewn binding! I don’t think I have ever sewn with a panel before. Actually, I have just one other in my stash: Merrily from Gingiber, and that won’t be sewn into a quilt anytime soon. 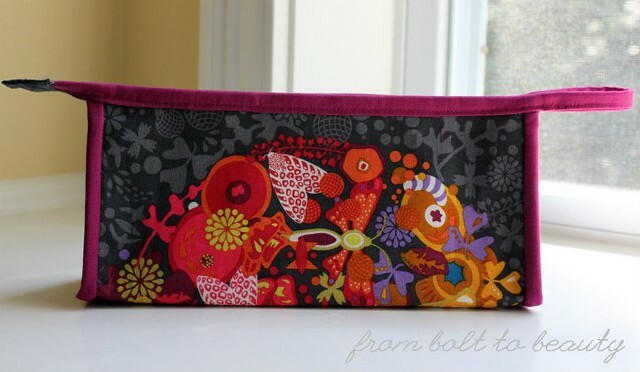 If you use panels, I would love to hear about your experiences, whether you use them in quilts or smaller projects like this pouch. 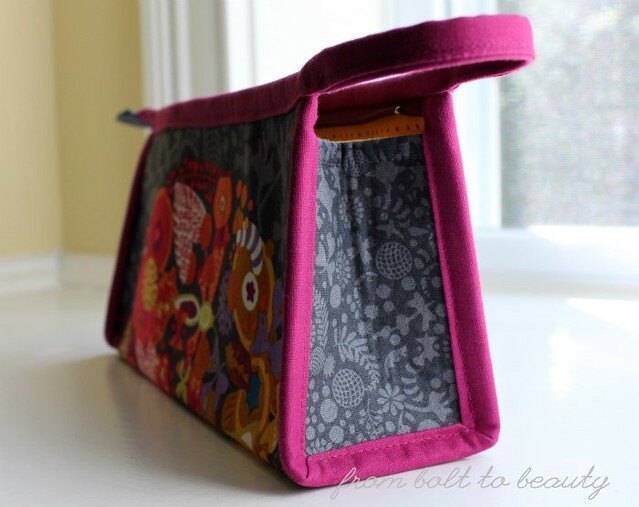 I have more of the Alison Glass fabric left, and I am tempted to bang out more Kinley bags with what remains. If I do, you’ll be the first to know about it!